This grand aerial spectacle arrives in the Mexican Pacific for the very first time; Nuevo Vallarta will host the event, which includes tethered flights, free flights and flights aboard a blimp. 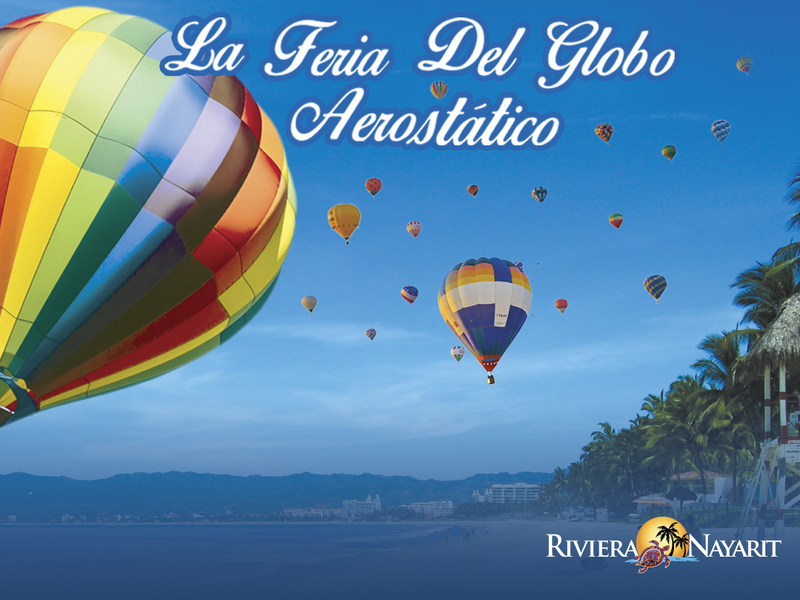 The 1st Riviera Nayarit Hot Air Balloon Festival arrives in Nuevo Vallarta from March 18-20, 2016. The Riviera Nayarit Convention and Visitors Bureau and the Government of the State of Nayarit invite everyone to celebrate the upcoming spring season this newest event in the Destination. The esplanade for takeoffs is located on the Avenida México in Nuevo Vallarta on the field between El Tigre and the Universidad Tecnológica. General admission is MEX$50. There will be three different types of flights: tethered flights, free flights and flights aboard a blimp. The tethered flights cost MXN$300 and will take place on all three days; these flights only go up 13 meters, or 43 feet. They’re great for picture taking and will happen in the mornings and at night. The free flights will take off in the mornings of March 19 and 20th at approximately 7 a.m. The cost is MXN$2,300 per person. There will be between 15 and 20 balloons available with a capacity for 70 people total, meaning there will be 140 spots available over the two days. There will also be flights aboard a blimp available at a cost of MXN$2,300 per person. This is about a 20-minute flight and will only be available on Saturday from 10 a.m. to noon and then from 2 p.m. to 4 p.m.
“Basically we brought this festival here because it’s something totally different in the area. We wanted to bring something new and the facilities and support offered by the State Government and the Riviera Nayarit CVB were ideal,” commented Edgar García, the festival organizer. For details call (045) 55 6972 8479 or (045) 33 1136 2604 or email luergapa@hotmail.com.